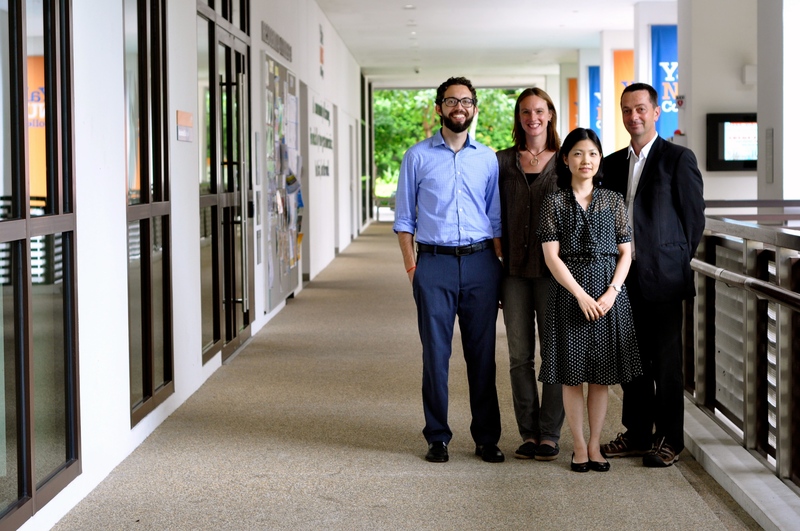 Four new professors joined Yale-NUS’s Art’s Department in the 2014 Fall Semester, including the first Department Head, to help establish the school’s Arts Department, according to a press release by the college. A few Yale-NUS students say they have hopes for what the department can bring to the school, and how it will play a role both within and outside of the classroom. The new department head, Professor Mark Joyce, along with three other Assistant Professors, Heidi Stalla, Jason Rosenberg, and Nozomi Naoi, will join the Arts Department at Yale-NUS this semester. David Chia Jun Weng’17 is excited that the new faculty will provide new learning and mentoring opportunities for students interested in the arts. “For sure, I’m excited about being able to engage in conversations with more professors who share similar interests as I,” he said. The department also hopes to help build collaborative relationships with NUS faculties. “We have great opportunities for collaborating with theatre studies students at NUS and bring them over sometimes. It’s a large, complex vision of how the Arts will grow,” Patke said. Rosenberg hopes that this relationship will extend beyond NUS, to other schools in singapore as well. Although currently, the arts are featured little in the common curriculum, students feel that its inclusion may be enriching. “I suppose [arts are] not an obviously employable skill. We could decide that it doesn’t add to the academia of the place, which is why it should be taught as elective only. Or, you could argue that we aren’t here necessarily for employable skills we’re here to develop as human beings,” Jamie Buitelaar’18 said. The department will also try to embody part of the school’s motto, “In Asia, for the World,” by incorporating different geographical and temporal periods of art into its curriculum. “The historical and geographical planning part is simply this: we want people who specialise in the contemporary and the modern, and we also want people who specialise in the premodern,” Patke said. “As for the geographical dimension, we don’t want people who simply specialise in western or eastern art. We want art from all parts of the world.” Rosenberg said he hopes to model the Music Department based on this ideal. “I will strive to make the diversity and vitality of the music program reflect the diversity and vitality of the student body,” he said.